New Book: Apples and Oranges? 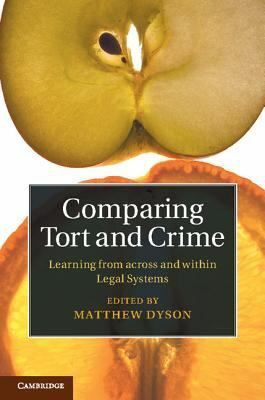 The new book Comparing Tort and Crime: Learning From Across and Within Legal Systems focuses on the commonalities and difficulties in how legal systems manage the border between tort and crime. What is the purpose of tort law and criminal law, and how do you tell the difference between them? Do criminal lawyers and civil lawyers reason and argue in the same way? When, how and why do tort and crime interact? The book answers these and other questions for eight legal systems: England, France, Germany, Sweden, Spain, Scotland, the Netherlands and Australia. Find the book on the Law Library Balcony K923 .C65 2015. This entry was posted in Featured Acquisitions and tagged comparative law, new books, torts. Bookmark the permalink.